Join Conscious Discipline founder Dr. Becky Bailey for this seven-part Webinar series called Becoming the Best You Can Be. Every Conscious Discipline skill and structure is based on an essential power of social-emotional health in adults and children. This popular series explores each of the seven powers: Perception, Unity, Attention, Free Will, Love, Acceptance and Intention. Session 1 of 7 from the Becoming the Best You Can Be webinar series with Dr. Becky Bailey explores The Power of Perception. Our perception of others and situations dictates how we respond. Holding the perception children who talk back are disrespectful will trigger one response, while seeing the child in the moment as needing help with social skills will elicit another response. How do we get these perceptions and is it possible to change them? 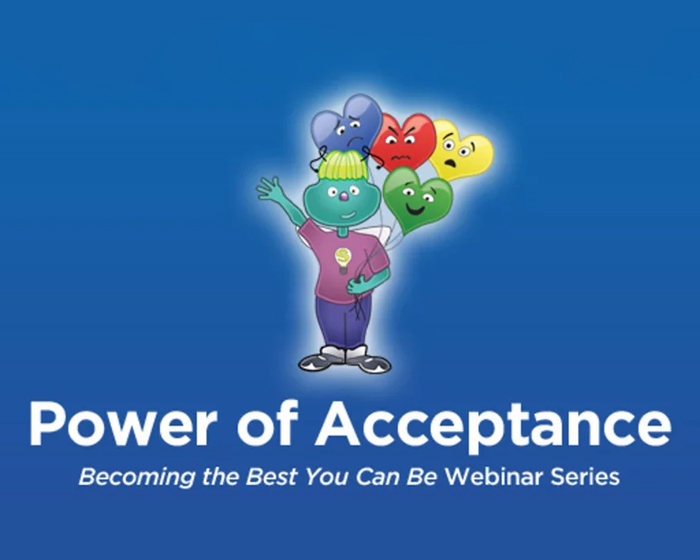 Session 2 of 7 from the Becoming the Best You Can Be webinar series with Dr. Becky Bailey explores The Power of Unity. As human beings we have a deep need for connection and a sense of belonging. The power of unity carries the belief we are all in this together, we are all connected. Session 3 of 7 from the Becoming the Best You Can Be webinar series with Dr. Becky Bailey explores The Power of Attention. Where do you focus your attention? Do you tend to focus on what is lacking or missing or do you focus on what you’ve accomplished? What about when things are not going your way, where is your focus then? Session 4 of 7 from the Becoming the Best You Can Be webinar series with Dr. Becky Bailey explores The Power of Free Will. Have you ever spent time trying to make another person change? Do you sometimes think if the children would just __________, then I could _______? Session 5 of 7 from the Becoming the Best You Can Be webinar series with Dr. Becky Bailey explores The Power of Love. It’s easy to see the best in children and others when their behavior is as we think it should be. But, how do we view children and others when they act in ways that are hurtful or make poor choices? Session 7 of 7 from the Becoming the Best You Can Be webinar series with Dr. Becky Bailey explores The Power of Intention. Have you noticed in some classrooms or homes the same child experiences the same consequence over and over without changes in their behavior ever occurring? Ineffective consequences discourage children and adults.